you already own the best - how? Maybe your flowrapper isn't working, or it's missing features you now need, or you're worried about reliability and support, or it's just seen better days after years of hard work. Or perhaps you've been tempted by the latest new electronic multi-motor flowrappers. We collect your flowrapper using dedicated insured transport. We then throw away the original drive system and electrics. 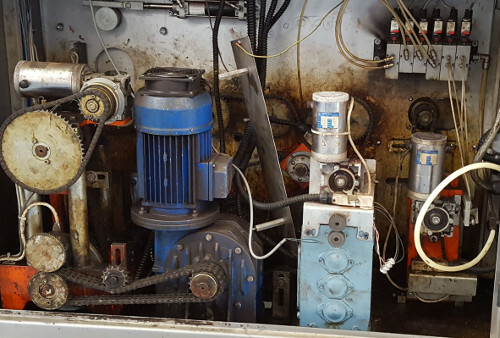 We clean and assess the remaining mechanical assemblies and report back to you on any remedial mechanical work that may be required. We install several new motors which directly drive the flowrapper jaw, film and infeed. We fit an all new electrical panel including new safety circuits, heater control, latest generation motion controller and colour touch screen. 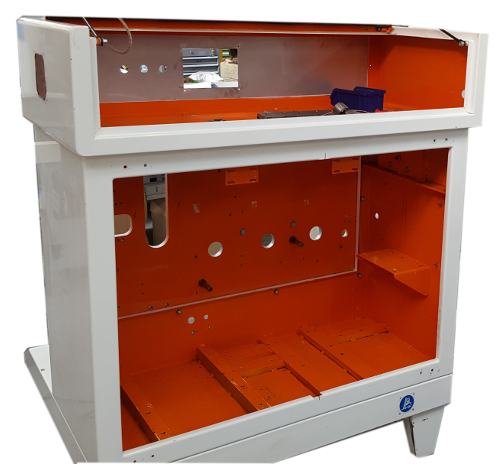 If you are changing its use we can also fit new fold-boxes, size change parts, date coders, film registration sensors, etc. We set it up and thoroughly test it with your entire range of products and film. We can even modify and adjust your flowrapper for use with the latest Biodegradable film. You end up with a superbly efficient, reliable, latest generation version of your old familiar machine. One of our expert engineers installs it and trains your staff. 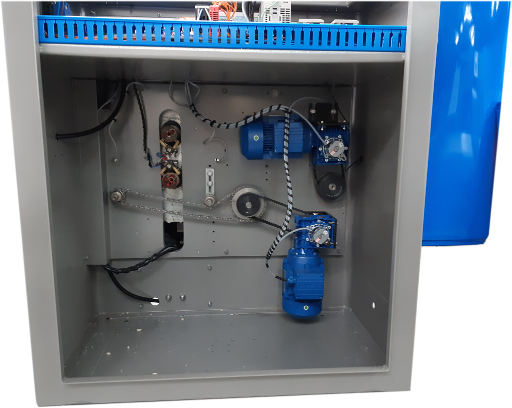 It includes a TWO year warranty on the new electro-technical parts and long term support for the entire machine - all at a fraction of the cost of even an entry level new machine.